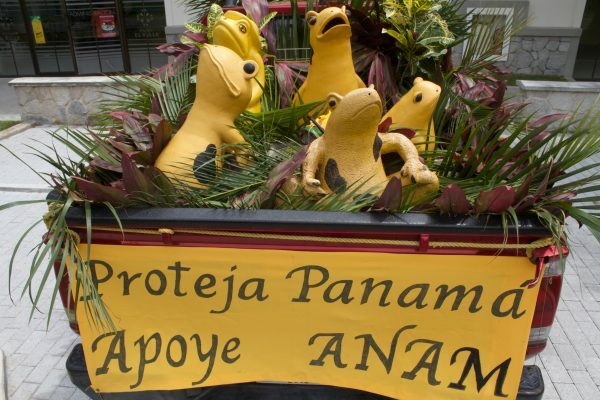 Each year around August 14, the streets of El Valle de Anton in Panama fill up with golden frogs. 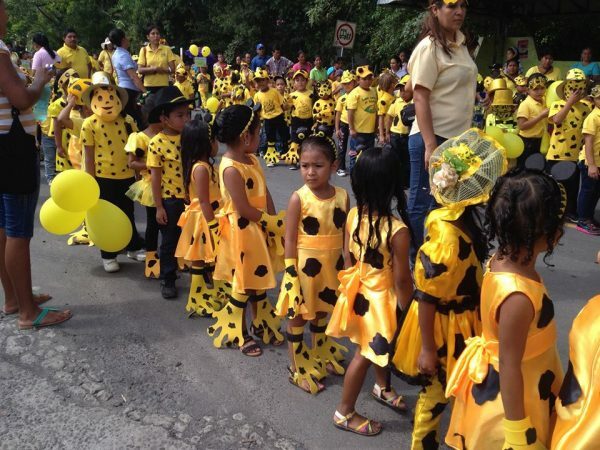 Though they’re not the real amphibians—the Panamanian golden frog is extinct in the wild—school-age children dress up as the animals in a spirited celebration of what has become a popular national holiday: Panamanian Golden Frog Day. In 2010—just one year after the last confirmed observation of a Panamanian golden frog in the wild—Panama’s National Assembly declared August 13 National Golden Frog Day, passing a law that made the Panamanian golden frog one of Panama’s official cultural and ecological symbols. Since then the holiday has grown from the mere acknowledgement of the National Assembly’s declaration to an entire week full of frog-focused events for children and adults across the country. 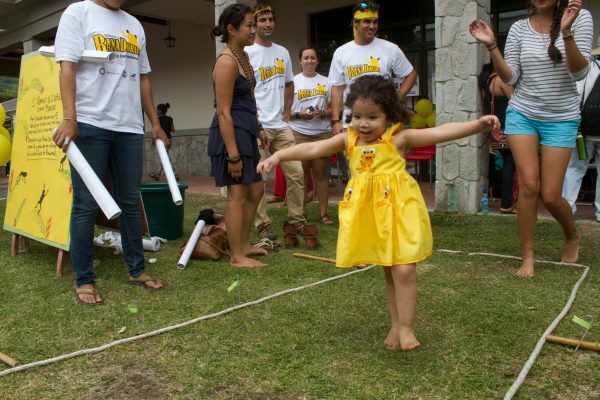 This year’s Golden Frog Day started August 13, ran through August 20 and included two family days, a race for frogs, an open house at the Gamboa Amphibian Research and Conservation Center, a book fair with a live frog exhibition and a parade in El Valle. Golden Frog Day came near the end of the Panama Amphibian Rescue and Conservation Project’s #FightforFrogs campaign, during which time Golden Frog—a global online services provider—matched donations to the rescue project, helping raise money critical to the Zoo’s fight for frogs. The successful digital campaign brought in $21,800 in donations. With Golden Frog’s initial donation of $10,000 and their generous commitment to match up to an additional $20,000, we’ve raised a total of $51,800 for frogs. Though no longer found in the wild, the golden frog is a beloved icon in Panama, where local markets sell thousands of enamel-painted terracotta and hand-carved tagua nut golden frog statues, and hand-stitched fabric works of art called molas with the likeness of the amphibian. 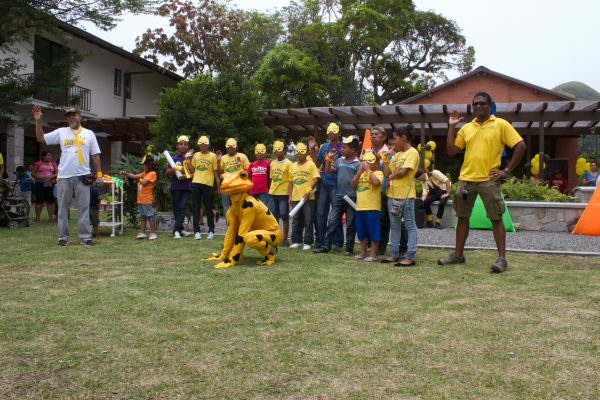 Last year Panamanian Golden Frog Day celebrations even kicked off with a golden frog-themed national lottery ticket. The Panama Amphibian Rescue and Conservation Project is a project partnership between the Cheyenne Mountain Zoo, the Houston Zoo, Zoo New England and Smithsonian Institution. You can follow the Fight for Frogs campaign on Twitter using the #FightForFrogs hashtag or on the rescue project’s Facebook page. 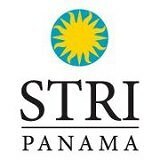 When SCBI conservation biologist Brian Gratwicke started the Panama Amphibian Rescue and Conservation Project with partners in 2009, it was a mad dash to find and collect frogs representing the very last best hope for their species, rapidly vanishing at the hands of an amphibian chytrid fungus (Batrachochytrium dendrobatidis, or Bd) that causes a disease called chytridiomycosis. If that was the opening chapter of the rescue project’s story, seven years later the story reads like a manuscript for an initiative set up to be among the most successful comprehensive conservation projects to date. Today the rescue project has provided a stable safe haven for 12 of the most imperiled Panamanian frog species, requiring keepers to learn the complex husbandry, behavior and reproductive physiology unique to each individual species. 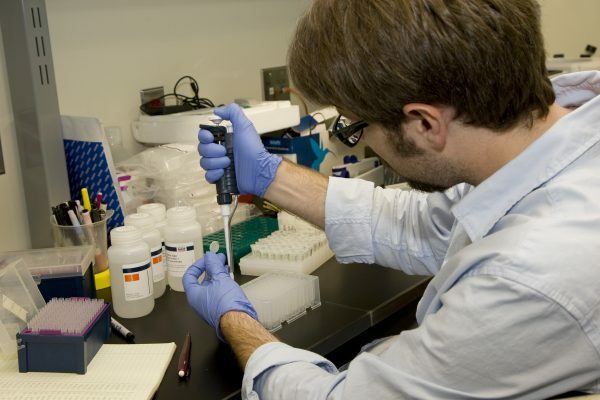 In the meantime, rescue project scientists are making strides in developing and refining assisted reproduction protocols, while also conducting experiments in a resolute search for a cure for Bd. Things in Matt Becker’s lab can sometimes get a bit…strange. Take, for instance, an experiment the SCBI postdoctoral researcher conducted a year ago with unexpected results. 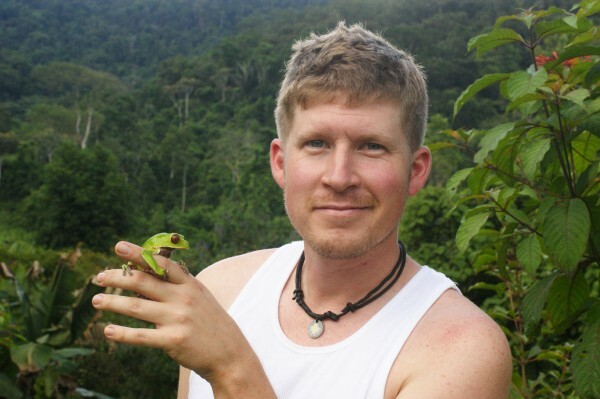 Becker’s research focuses on the use of probiotics—or beneficial bacteria—to help frogs fight off Bd. Last year Becker applied five different probiotics with anti-fungal properties to the skin of five groups of Panamanian golden frogs, hoping to discover which probiotic gives them an effective shield against the pathogen. What he found surprised him. In past experiments, the probiotics were ineffective and all of the frogs died after the researchers infected them with Bd. This time, though, about 25 percent of the individuals survived. And those surviving frogs didn’t come from just one group with one kind of probiotics, but from every group, even the one that had been infected with Bd without a probiotic protectant. So Becker and Gratwicke needed to determine what it was that the frogs did have in common to help them fight the disease. They started by looking at the frogs’ microbial community, or the complex community of bacteria on the skin. 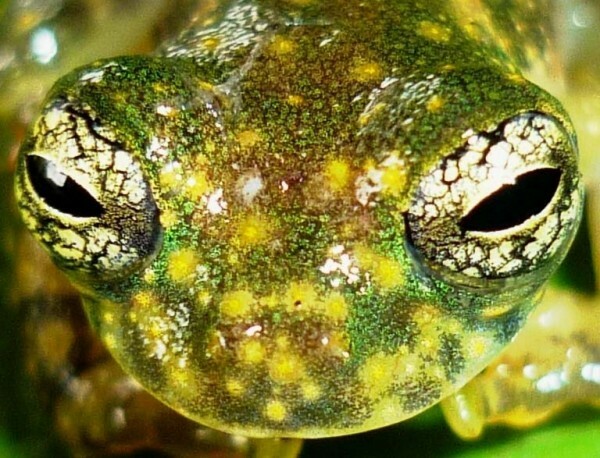 All of the frogs that survived had a greater abundance of specific bacteria on their skin. 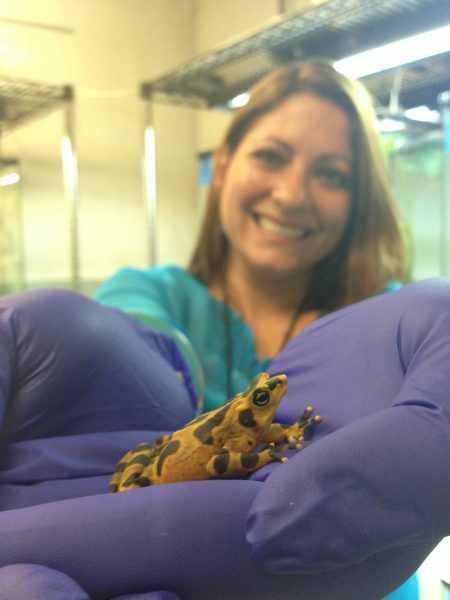 In June of this year, the team launched a new experiment, this time using frogs from the Species Survival Plan collection at the Maryland Zoo in Baltimore that have similar abundances and types of bacteria as those that survived last year. The researchers have given the frogs a cocktail of eight bacteria that seem to strongly ward off Bd. For the first time during a probiotics study on frogs, the researchers will also be looking at the gene expression—or combination of genes in an individual frog that gets turned on or turned off—while the frog mounts an immune response to fight off Bd. While Becker is focused on getting frogs safely back into the wild, this goal is only possible if there are actually future generations of frogs to release into the wild. That’s where Smithsonian researcher and Panamanian native Gina Della Togna comes in. 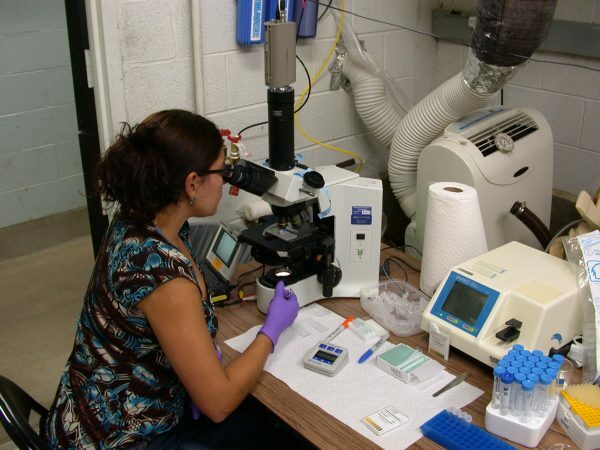 Della Togna is working on a number of complex assisted reproduction techniques for Panamanian frog species. She is the first scientist to develop protocols for extracting and freezing sperm from the Panamanian golden frog, a species that is extinct in the wild and a cultural icon in her home country. Scientists could someday use the sperm to infuse populations with additional genetic diversity, key to a species’ overall health. 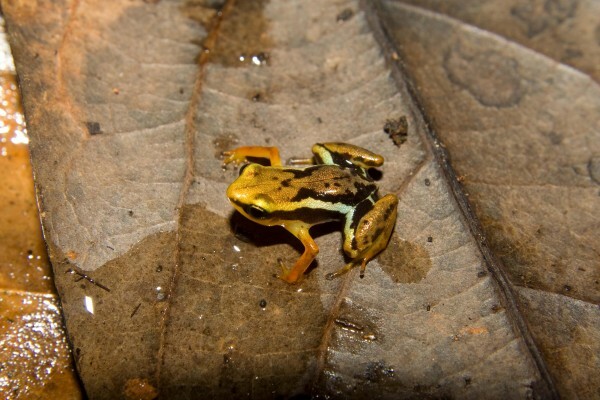 Now Della Togna is working on developing similar protocol for other rescue project species, including the mountain harlequin frog, Pirre harlequin frog, variable harlequin frog, limosa harlequin frog and the rusty robber frog. In the future, she plans to get out into the field to capture genetic lineages from frogs in the wild. As she continues to perfect these protocols, Della Togna also aims to collect eggs from female Panamanian golden frogs to use for artificial fertilization with the frozen sperm. And most recently in Panama, she successfully applied a hormone treatment to help six pairs of the limosa harlequin frog and Pirre harlequin frogs breed that hadn’t laid eggs before. For Della Togna, Gratwicke and Becker, the goal is the same: to give these unique species a fighting chance against Bd. From now until the end of August, you can help us #FightForFrogs! Our generous sponsor Golden Frog—a global online services provider with a terrific name—will match donations to the rescue project up to $20,000, helping us raise money critical to our fight for frogs. 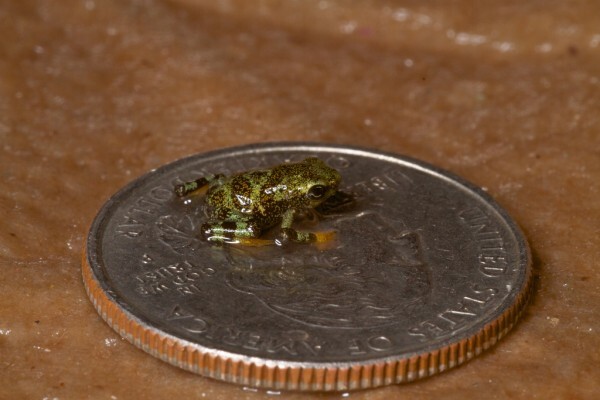 Your donations during the Fight for Frogs campaign will buy us equipment to care for the frogs in the rescue pods, help us continue to conduct experiments to find a cure, ensure crucial breakthroughs, and ultimately one day see the return of these incredible species to their home in the wild. The white-spotted cochran frog is a nocturnal frog commonly found in humid lowlands and pre-montane slopes. It is native to a wide distribution of land, from the Caribbean slopes (Honduras to Costa Rica), to the Pacific slopes (Costa Rica to Colombia), and is likely to make nests on leaves above water. 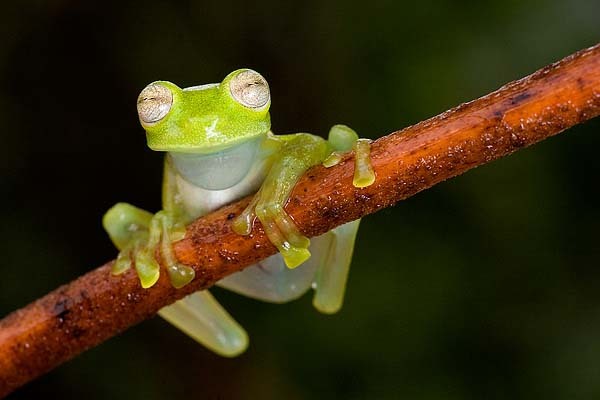 A brightly colored frog, the Cochran frog is bluish green with yellow to silver spots covering the body. Even its bones are green, which can be seen when viewed from the dorsal side, thanks to their translucent skin. Because of their wide distribution and large population, the white-spotted Cochran frog is listed as a species of least concern by the IUCN. Photo by Jorge Brito via Arkive. 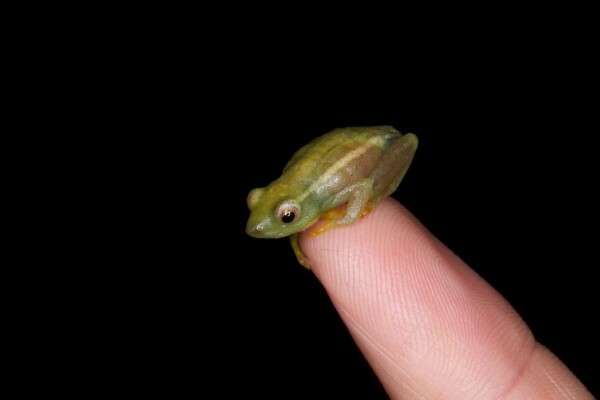 The turquino robber frog is a small frog, but large for Eleutherodactylids. It is a semi-aquatic frog found in small mountain streams in cloud forest and fragmented areas at high altitudes. Endemic to Cuba, this frog is known only from the Sierra del Turquino (Sierra Maestra Mountains) in eastern Cuba. These little robbers can be found on stream banks clinging to wet rocks in the splash zone, prepared to dive underwater for a quick getaway if needed. Due to habitat loss and their limited area of occupancy, this species is classified as critically endangered by the IUCN. Photo by Ariel Rodriguez via Arkive. 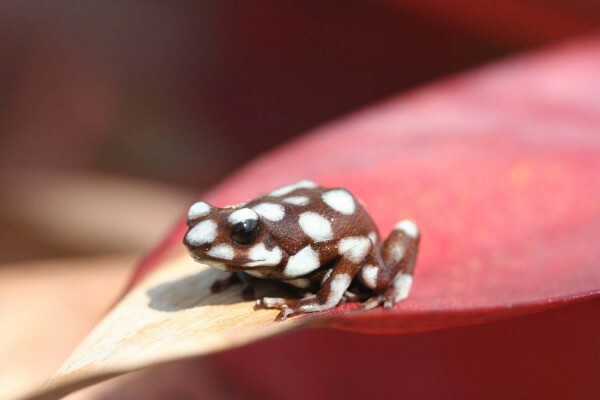 This little polka-dotted guy is actually one of the most distinctive poisonous frogs. Adults are black or brown, sporting fashionable white “polka-dots” that cover their entire body. This spotting is highly variable from frog to frog, with the exception of a single spot under the chin and an oval spot on the underside of the thighs. The species is known from a single location in the vicinity of Santa Rosa, Cajamarca, Peru and often lives in giant bromeliad flowers. Unfortunately, because of land destruction for coffee farms in the area around Santa Rosa, this species is losing its habitat and becoming severely threatened in the wild. Humans have also begun to want these beautiful amphibians as terrarium pets. These threats have caused the IUCN to classify the spotted frog as endangered by the IUCN. Photo by Jean-Francois Brousseau via ARKive. This Valentine’s Day we asked some of the rescue project’s researchers why they love frogs. Here’s what we got back from a few biologists at the Smithsonian’s National Zoo. The common link? A life-long love of wildlife. La Loma robber frog used to be found predominantly in the forests of Costa Rica, Panama and Colombia, yet recently this frog has been disappearing in increasing numbers. 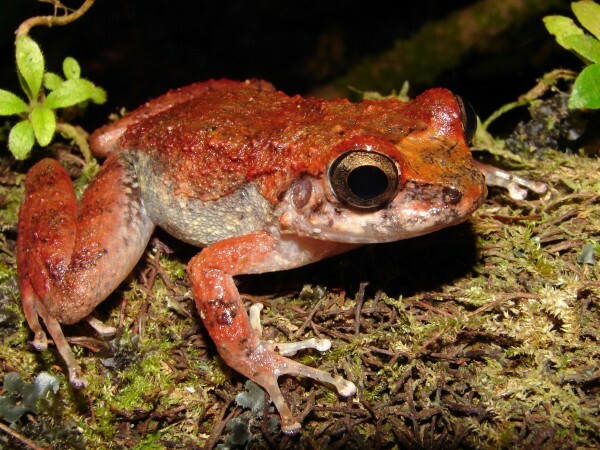 The deadly chytrid fungus, as well as habitat loss attributed to logging, farming and human encroachment, has had an impact on the wild populations of this species. The population effects have been the most drastic at lower altitudes, which is unusual, as most other species experience the heaviest declines at higher elevations. 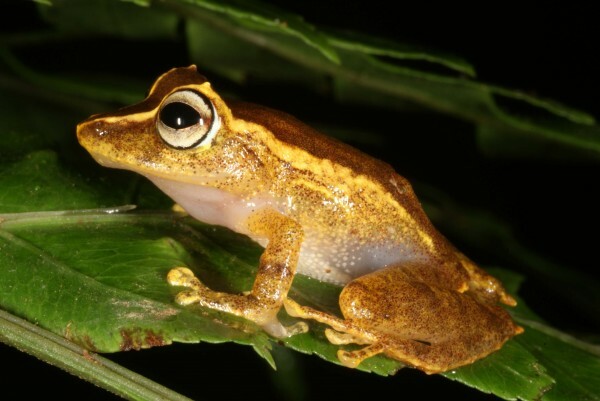 These small frogs prefer leaf litter and the low vegetation of primary moist and wet forests and rainforests. Leaves play an important role in the life cycle of these frogs, as females lay their eggs on leaves and brood them there. The la Loma robber frog is listed as a near threatened species on the IUCN Red List of Threatened Species. Photo by Andreas Hertz via ARKive. If you ever visit Cuba and spot this little yellow and black frog, watch out! The robber frog is toxic, and when touched can secrete painful toxins into the skin of other species, including humans. This terrestrial species is endemic and can only be found among leaf litter in hardwood forests of limestone soil, and sometimes on coffee and cacao plantations in Cuba. An increase in agriculture and tourism has resulted in the degradation of these critically-endangered frogs’ heavily restricted range.